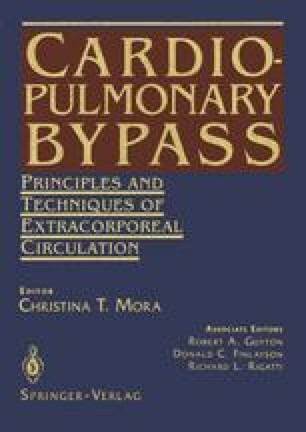 Throughout this volume, the efficacy of cardiopulmonary bypass (CPB) in providing short-term circulatory support is demonstrated. The need for such technology is undisputed, since 375,000 bypass operations are performed annually in the United States, where cardiovascular disease is the leading cause of death.1 Respiratory diseases (not including respiratory complications of neoplastic conditions) are the third leading cause of death. Almost as soon as extracorporeal circulation was conceived as an adjunct to cardiac surgery, its developers recognized its potential application to the treatment of respiratory failure. In many ways, however, the latter is a much more convoluted enterprise. Since circulatory support cannot in any way “treat” underlying pulmonary conditions, at best it can be expected to provide a period of physiologically normal support of sufficient length to allow for intrinsic healing. The long-term use of extracorporeal circulation as a means of supporting patients with life-threatening respiratory (and/or cardiac) failure has come to be known as extracorporeal membrane oxygenation (ECMO) or extracorporeal life support (ECLS).